We believe that the global telecoms market is approaching a critical moment of change, as strategic drivers and enablers are combining to open the door to a fundamental shift in the industry. 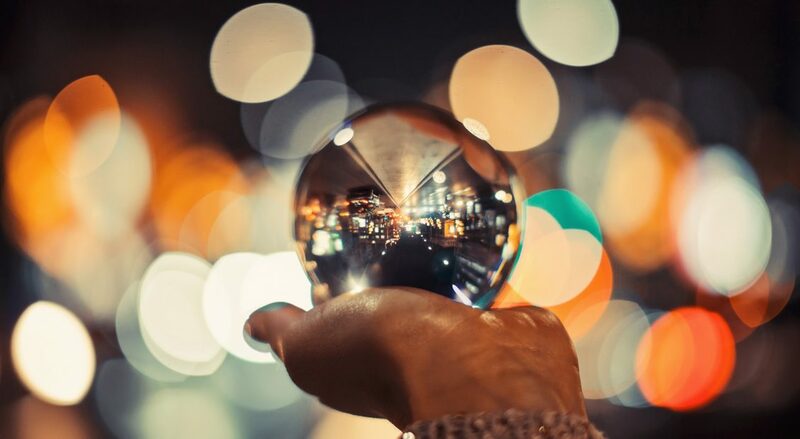 We show how and why with highlights of our recent research, and set the scene for a new vision for Telco 2.0 – what telcos should be in the future, and how to get there. The following is a summary of highlights of our recent analysis and an outline of further research planned against each of these themes. It is intended to provide readers with a summary, starting point and guide to our research as they address the themes, and includes a preamble for our latest vision of ‘Telco 2.0’ – the shape of future telcos. STL Partners has covered the changing context of global telecoms markets for the last nine years. The broad story is that voice and messaging revenues are in decline, and that while data revenues are generally growing, they aren’t growing fast enough to replace the lost revenues. In June 2015, we published a critique of Repremiumization: The dangerous self-deception at work in European Telcos, as several operators in Europe seek to reframe the ‘Piper’ strategy as a premium-priced differentiation play based on network quality. We argued that this is deluded and dangerous, and that a ‘Piper’ strategy is viable but only by developing cost-leadership in a commodity market. Winning Strategies: Differentiated Mobile Data Services showed how a small and surprising set of national operators achieved outstanding performance, and continues to find resonance among operators looking for insights on how to maximise the value of mobile data. In terms of specific examples of competitive strategy and growth, we examined How AT&T overtook Verizon in strategic business services, and the lessons for others from this case study, and also how BT/EE: has presented a Huge Regulatory Headache and Trigger for European Transformation as the group seeks to add mobile to its portfolio. And in the first of our macro-regional analyses, we looked at 10 forces and 4 scenarios and 7 predictions for the European Telecoms market in 2020. We discussed the scenarios, titled ‘Digital Renaissance’, ‘Back to the Future’, ‘Commoditised Utility’ and ‘Telco Trainwreck’, with a group of senior European telecoms executives, and the findings are included in the second report. 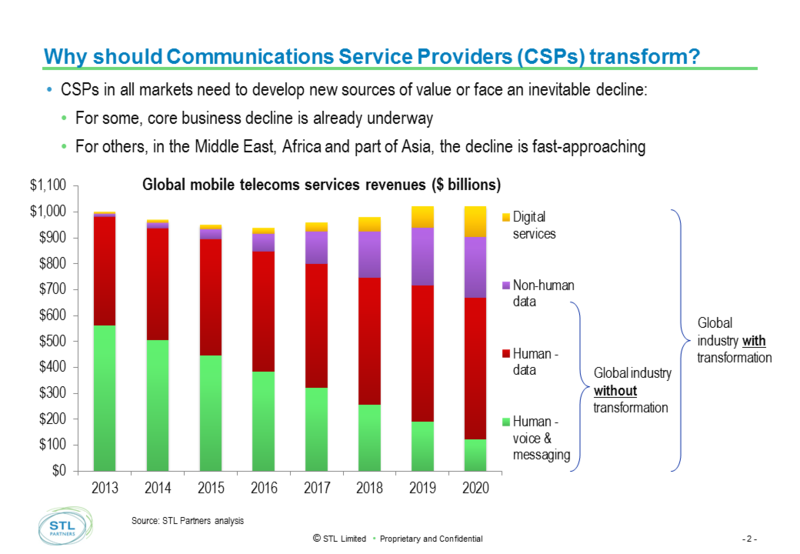 What strategies have demonstrably added value to telecoms operators? Following on from our work on the Telco 2.0 Transformation Index, benchmarking the strategies of five major operators, in 2015 STL Partners has researched ‘Agility’, a key objective of change in the core business, and how to build innovative new businesses. 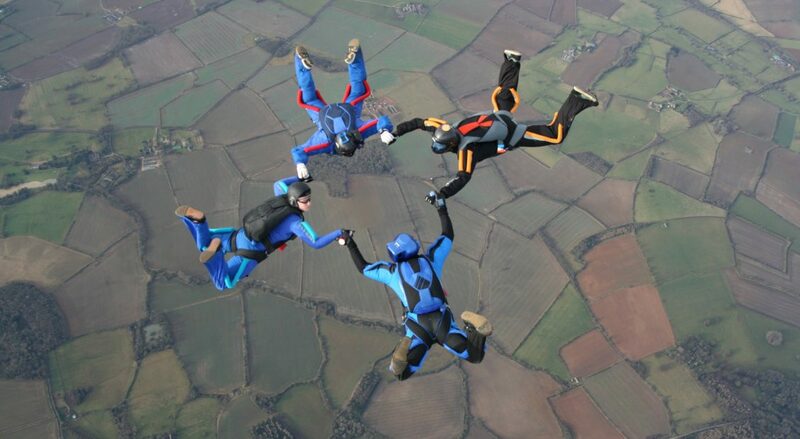 In The ‘Agile Operator’: 5 Key Ways to Meet the Agility Challenge, we summarised the findings of in-depth interviews with 29 senior telco executives, who described in their own words what ‘agility’ means for telcos, and created a five part ‘Agility Framework’ (see above). In How to be Agile: Agility by Design and Information Intensity we identified and explored the need to be ‘Agile by Design’ for an ‘information intensive’ culture, based on the results of a survey of a further 70+ operator executives. Following on from our transformation benchmarking analysis, we took a reality check on Are operators’ lofty digital ambitions unrealistic given slow progress to date? We found that against 9 substantial implementation challenges, too little is currently being done to engender successful industry-wide business model transformation, and outlined what needs to be changed to move things on. For telcos building new, innovative businesses, we examined different approaches for valuation in Valuing Digital: A Contentious Yet Vital Business, and in Digital Services: What is Your Digital Business Worth?, outlined how to use ‘proxy model’ for pre-revenue businesses, and worked examples of approaches used by a number of telcos in practice. In The Digital Dashboard: How new metrics drive success in telco digital initiatives we looked at how digital businesses need different performance metrics, explored the contribution of metrics to 3 telco digital success stories, and revealed how a cutting-edge approach to metrics is driving digital execution at Telkom Indonesia. There was also enduring interest in some key items in our back-catalogue. Including the Roadmap to New Telco 2.0 Business Models and Six Key Telco 2.0 Opportunities from 2011, and Seven Strategic Priority Areas for new Telecoms Business Models (2009). What does ‘Telco 2.0’ mean today – what should a future telco look like? How do recent developments in the application of new business models, technology, and organisational change unlock faster transition to new Telco 2.0 businesses? IoT (the Internet of Things), 5G, and NFV (Network Functions Virtualisation) are three acronyms that at first glance seem unrelated. Yet underlying all three is that the boundaries between IT and network technologies in telecoms are starting to blur at an increasing rate. This is a highly significant trend in the industry. All in all, we see this underlying change as highly significant in terms of the structure and strategy of the telecoms industry. It will both more effectively enable new business models for telcos, enable new competition for them, and disrupt existing industry structures among telcos. It will also disrupt technology and software players partnering with telcos. It is therefore a critical strategic need to understand how this is likely to play out, and the strategies most likely to lead to success in this new world. In The Internet of Things: Impact on M2M, where it’s going, and what to do about it? we looked at the M2M strategies of Vodafone, AT&T and Telefonica, the impact that the Internet of Things and new entrants such as Google and others will have, the implications for operators, and where it is all leading. This built on our previous analysis of Connected Cars and Google’s strategy with Nest in the battle for the connected home. Network Functions Virtualisation (NFV) potentially offers operators benefits of up to 80% network opex reduction and significant improvements in agility, and threatens a shake-up of the vendor landscape. 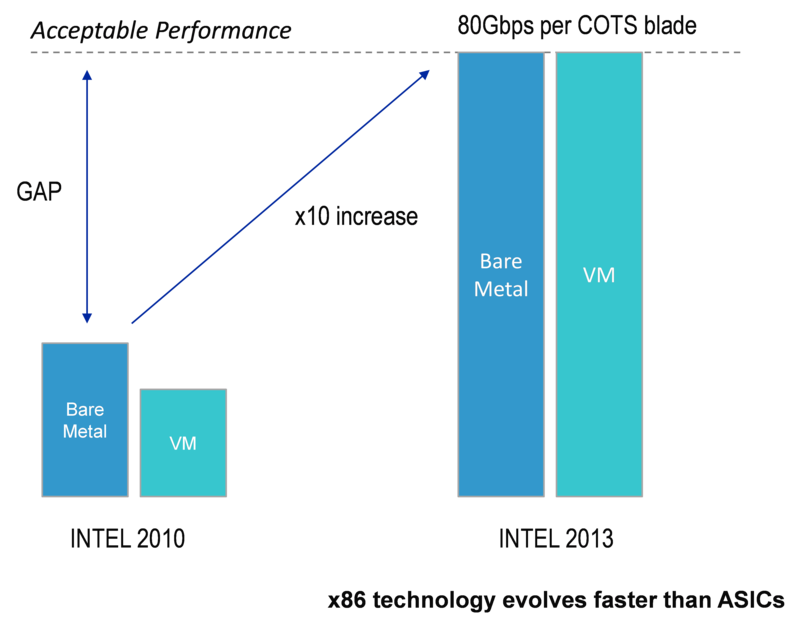 In NFV: Great Promises, but How to Deliver? we looked at the challenges to making it happen, and what telcos and vendors need to do to succeed. A primary benefit envisaged of 5G networks is that latency (i.e. delay times for users) will be massively reduced, potentially delivering major benefits for cloud-based applications. This is likely to drive a massive change in the architecture of both the cloud and the telecoms industries. 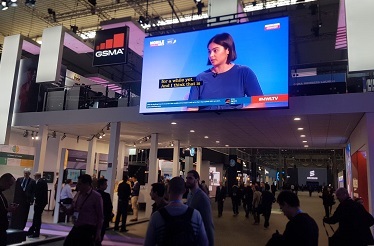 How 5G is Disrupting Cloud and Network Strategy Today outlined likely scenarios and identifies some early moves that are starting to play out now. Overall, a range of disruptive forces including virtualisation, regulation, the success of Internet services, network sharing, market consolidation are acting on the network, and changing the business case for Future Network investments, including whether network investments truly drive the creation and sale of truly novel services. Regular readers of our research are likely to be familiar with our original and market leading analysis of the internet players and major disruptors of the telecoms market, such as Dealing with the Disruptors: Google, Apple, Facebook, Amazon and Microsoft (2011) and our ongoing Dealing With Disruption in-depth research stream. Our overview of Five Principles of Disruptive Strategy and the performance and strategy of AWS in Amazon Web Services: Colossal, but Invincible? STL Partners believes that three major practical outcomes resulting from progress across these themes are now combining to create a unique opportunity for telcos to evolve and take advantage of new markets. 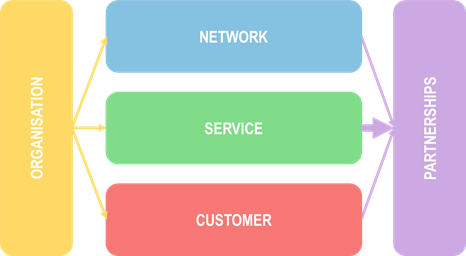 It is increasingly clear which new business models can be successful for telcos, and the pressure on the existing business model is no longer theoretical, it is a matter of substantial reality for most if not all telcos. The most advanced telcos have been trying out new models and some winning examples are emerging in the areas of content, enterprise ICT and B2B2C enablers. The emergence of SDN and NFV is creating a technological platform that is much more capable of delivering and supporting the agility required to deliver and sustain new businesses and new network propositions at speed than the traditional network/IT split. This will radically change both the operator and vendor industry landscape over the next few years. In addition, and combined with the likely shape of 5G as a technology to further reduce mobile network latency, the future technological ‘shape’ of telcos looks like a highly distributed ICT infrastructure placing huge and computing resources very close to most customers. This will create many different business opportunities for telcos and not least in the delivery of content, enterprise ICT, and digital commerce. The management and organisational techniques to create and sustain digital businesses are no longer a complete mystery, even though they are still evolving. And there is an increasing body, if not yet a ‘critical mass’, of people in the telecoms industry willing and able to embrace these approaches. We believe that telcos (and their partners) that harness these insights will be best placed to maximise value creation in the future, and our research and consulting services are designed to help telecoms industry clients achieve success faster and more effectively in this future. To this end, we will shortly be setting out a new vision for ‘Telco 2.0’ – what a telecoms operator should be to create maximum value in the future, and how to get there.